Beautifully maintained 1 bedroom at Michaud Gardens, features attractive designer paint colours, laminate flooring and an open, functional floor plan with entertainment sized living room with gas fireplace and door to wrap around deck, dining room, attractive kitchen with lots of white cabinets and door to deck, separate laundry room, spacious Master bedroom and much more. 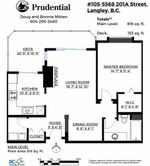 Above ground floor location offers security and privacy with attractive outlook and conveniently located next to it's storage locker room. Seller indicates they have enjoyed quiet neighbours. 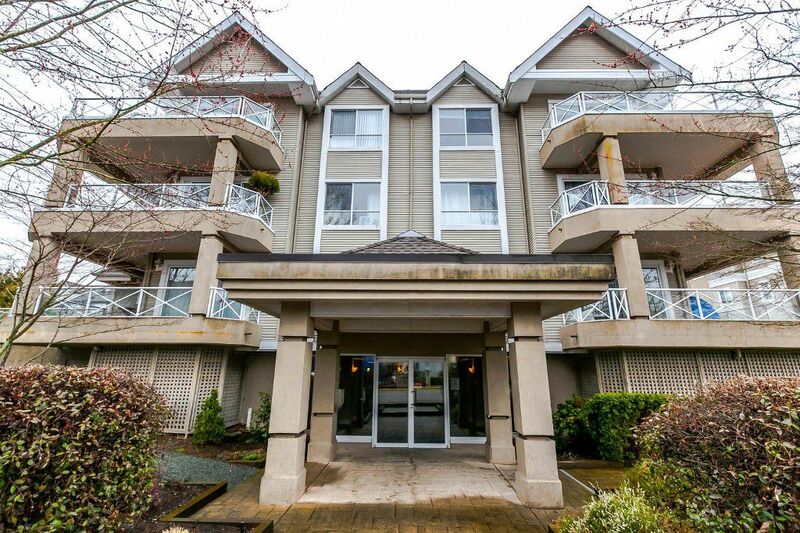 Conveniently located in Langley city, within walking distance of many shops, rec. facilities and transit. This adult oriented complex (19+ years) allows dogs and cats (2 pets 30lbs max) and is well maintained with a live-in caretaker. Call today for your private showing.